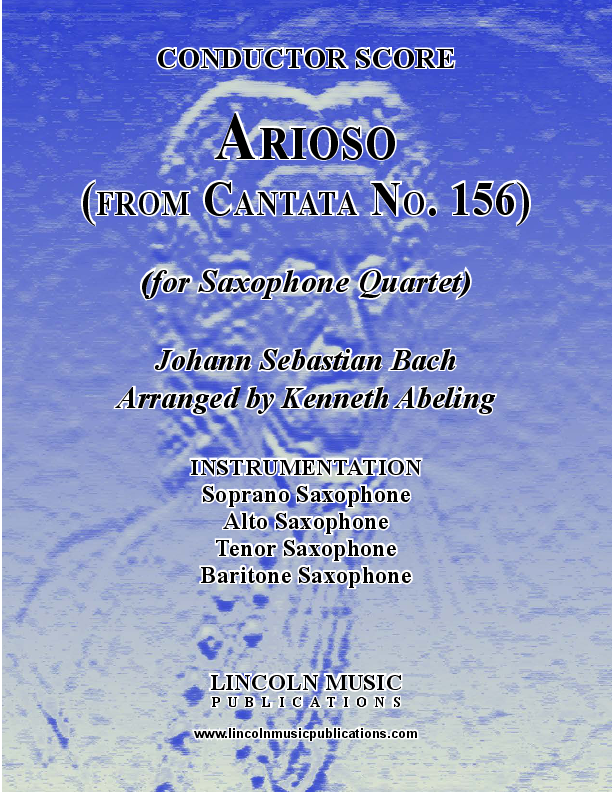 Arioso - (from Cantata No. 156) is another one of J.S. Bach’s most recognizable melodies offered here for Saxophone Quartet. This intermediate level transcription is suitable for a variety of occasions including Weddings!